Apples can be peeled, chopped, pierced (by an arrow), eaten, drunk, spooned up, thrown, juggled, coloured, hung up, and so on … the list is endless. Most recently, the healthy fruit can also be worn as apple leather bags. The cultural history of the apple is also a history of unfortunate events: Hades gave one to Persephone to bind her to the kingdom of the dead; Adam and Eve were encouraged by the cunning serpent to eat a fruit from the tree of knowledge, which ended a paradisiacal time for them; Snow White bit into an apple half which had been poisoned by the evil queen – and immediately fell dead asleep. Bad omens for the new apple leather handbags from the young fashion label ‘nuuwai’? This was not without reason: her father Gunnar Detto founded the handbag label ‘diboni’ six years ago and now sells more than 1,000 of his own women’s handbag designs a year. “Even as a student, I was infatuated with bags. Once, I spent a whole month’s money on a ‘Mandarina Duck’ bag”, the economics graduate recalls. 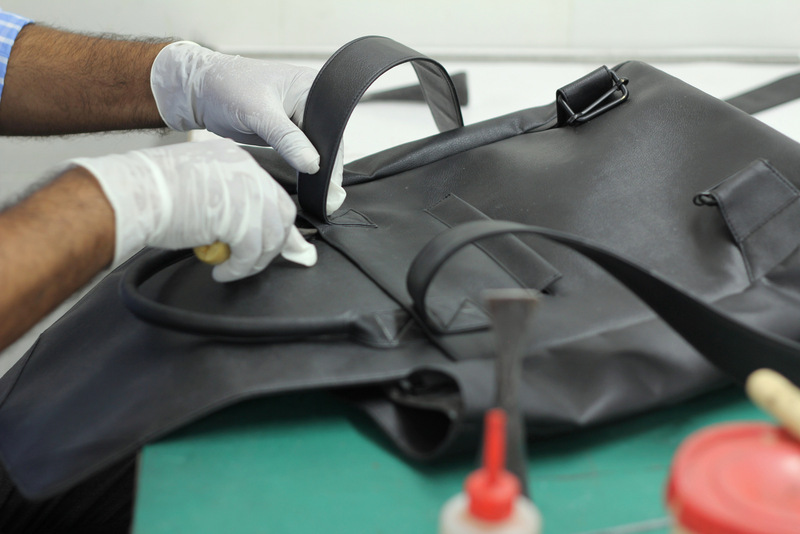 When Detto first began to manufacture leather bags in 2012, he had no idea how to go about it. But he did know one thing from decades of commercial experience: how to set up a manufacturing company. 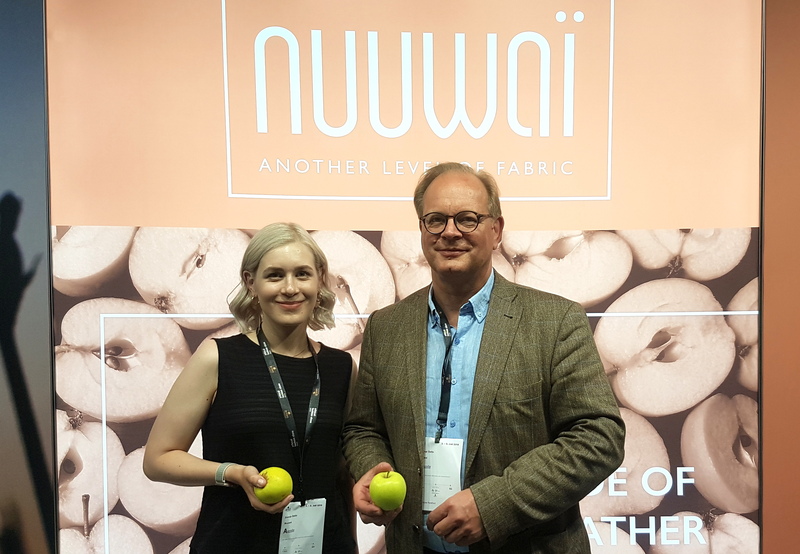 “It doesn’t matter what you manufacture – the processes need to be right”, says Detto, who has actively supported his daughter in developing her apple bags label. But what is apple leather? The answer grows in Southern Tirol: it’s here that, over an area of around 18,400 hectares (approximately 25,000 football pitches), 60 million apple trees deliver the healthy fruit into the hands of more than 7,000 fruit farmers every year. Around 950,000 tons of apples are harvested a year – ten percent of the European apple harvest. Most of the apples end up in supermarkets, however many are processed into juice or puree, with stalks, fibres and peel left as residue. This is known as apple pomace. Animals are pleased to have the delicious waste, some of which is also incinerated to produce energy.